At a Rashaida wedding, two women friends exchange confidences. 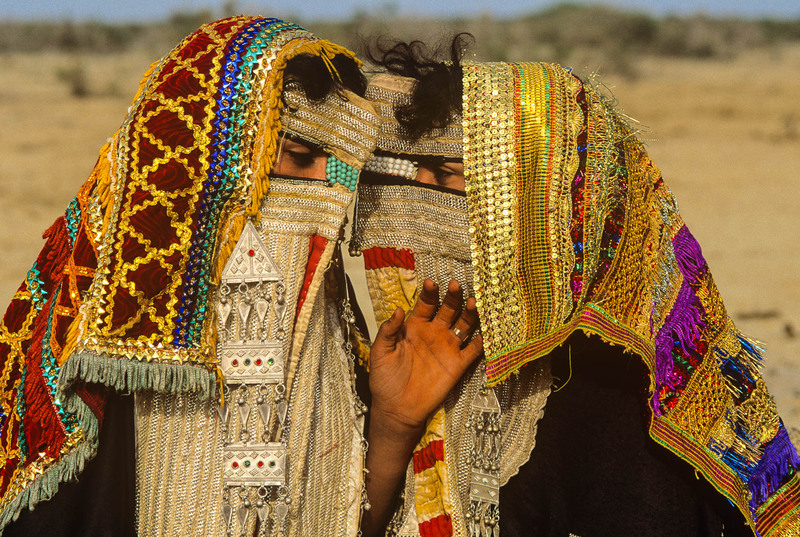 Women are required by the law of purdah to cover their faces throughout their lives when they are in public. The mask may be removed only when they are alone with their husbands. The Rashaida believe that showing a smile, a sign of happiness, would be disrespectful to the Prophet Muhammad. They also see the mask as an expression of female beauty, and its style has remained unchanged for 150 years.